Tizwaz has been established in the Poole / Bournemouth area for over ten years. We are a family run business that first started as a clothing agency providing second hand leathers for local bikers. The business has expanded over the years and has moved to larger premises and is now based from our shop in Winton, Bournemouth, where we now also sell the latest in new biker safety clothing and helmets. 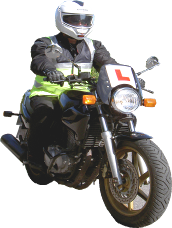 And, after many years in the motorcycle training industry Tizwaz Rider Training was started and we now operate the training school from Dorset's only purpose built road safety training centre in the heart of Bournemouth. Our instructors are highly trained individuals who are approved by the Driving and Vehicle Standards Agency, but more than that, they are enthusiastic and dedicated professionals who want to see you riding well. The courses listed here are intended to give you an indication of what we offer. We aim to be as flexible as possible with your training, and, we are only a phone call away. If you have any questions, want to discuss your requirements or book some training then call us today on 01202 510008.